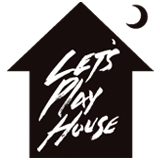 Let's Play House Records is a new venture helmed by New York City DJ/producer Jacques Renault and editor/journalist Nik Mercer. The two began Let's Play House—a biweekly, roving house and disco party featuring local and international talent alike—in late 2009, and since have hosted the likes of Horse Meat Disco, Rub N' Tug, Morgan Geist, TBD, Mugwump, the Rapture, Mock N' Toof, and many more. LPH Records marks the partners' foray into the physical manifestation of the Brooklyn warehouse party's energy and spirit. The debut release features a deep, dark house jam by Runaway (Jacques Renault's production venture with NYC staple Marcos Cabral). "Indoor Pool" opens with a sharp, driving beat and spooky synth swirls that swell into a heavy, muscular bass groove, jacked up by a driving kick, phased effects, and vocal samples. The three remixes come courtesy of a veritable who's who of the slow-mo disco-house scene, including New York's Slow Hands, UK stalwarts and edits dons Soft Rocks, and Washington, D.C.'s genre-bending and -morphing production team Beautiful Swimmers. Each one sheds light on a different aspect of the original, offering variations equally melodic, retro and driving. 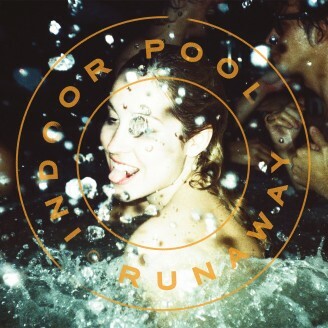 Fittingly, the cover artwork features pictures from an indoor pool photo shoot by local photographer Ruvan Wijesooriya, who shot the cover of LCD Soundsystem's "This Is Happening."